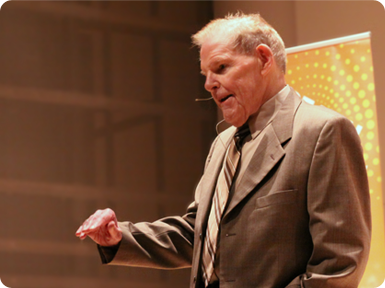 Preaching magazine is celebrating its 30th anniversary this year, and one of the figures who has most influenced preaching during those years has been Haddon Robinson, now retired from his teaching role at Gordon-Conwell Theological Seminary. Through his work at GCTS, Denver Seminary and Dallas Seminary, he has taught generations of pastors and teachers, who are helping to shape the evangelical pulpit of today. Every evangelical preacher owes him a debt of gratitude. One of his last major projects is Theology of Work, a treasury of resources on the topic of faith and its relationship to work. As the website explains: “The Theology of Work (TOW) Project exists to help people explore what the Bible and the Christian faith can contribute to ordinary work.” Given this is the week when we celebrate Labor Day, this is an opportune moment to take a look at the site, including articles, Bible studies and more. There is also a revised and updated edition of Robinson’s classic Biblical Preaching: The Development and Delivery of Expository Messages now available. This is one of those essential texts that belongs on every preacher’s bookshelf, but don’t put it on the shelf until it has been read and thoroughly devoured! Thank you, Dr. Robinson, for all that you have contributed to those of us who preach the Word. Your influence and legacy will be making a kingdom impact for generations to come. This entry was posted	on Wednesday, September 3rd, 2014 at 1:04 pm	and is filed under Leadership, Preaching. You can follow any responses to this entry through the RSS 2.0 feed. You can leave a response, or trackback from your own site.